If you have a need to implement robust retry logic in your code, a proven way would be to use the spring retry library. My objective here is not to show how to use the spring retry project itself, but in demonstrating different ways that it can be integrated into your codebase. So essentially this mocked service fails 2 times and succeeds with the third call. We are ensuring that the service is called 3 times to account for the first two failed calls and the third call which succeeds. This is not ideal however, a better way would be where the callers don't have have to be explicitly aware of the fact that there is a retry logic in place. Given this, the following are the approaches to incorporate Spring-retry logic. This aspect intercepts the remote service call and delegates the call to the retryTemplate. A full working test is here. The full working test is here. The @EnableRetry annotation activates the processing of @Retryable annotated methods and internally uses logic along the lines of approach 2 without the end user needing to be explicit about it. I recently came across a puzzle called the "Water Buckets" problem in this book, which totally stumped me. You have a 12-gallon bucket, an 8-gallon bucket and a 5-gallon bucket. The 12-gallon bucket is full of water and the other two are empty. Without using any additional water how can you divide the twelve gallons of water equally so that two of the three buckets have exactly 6 gallons of water in them? I and my nephew spent a good deal of time trying to solve it and ultimately gave up. I remembered then that I have seen a programmatic solution to a similar puzzle being worked out in the "Functional Programming Principles in Scala" Coursera course by Martin Odersky. If you are interested in learning more about the code behind this solution, the best way is to follow the week 7 of the Coursera course that I have linked above, Martin Odersky does a fantastic job of seemingly coming up with a solution on the fly!. If you ever have a need to process messages serially with RabbitMQ with a cluster of listeners processing the messages, the best way that I have seen is to use a "exclusive consumer" flag on a listener with 1 thread on each listener processing the messages. Exclusive consumer flag ensures that only 1 consumer can read messages from the specific queue, and 1 thread on that consumer ensures that the messages are processed serially. There is a catch however, I will go over it later. Let me demonstrate this behavior with a Spring Boot and Spring Integration based RabbitMQ message consumer. The important part of the flow is the listener configuration, note the flag which sets the consumer to be an exclusive consumer and within this consumer the number of threads processing is set to 1. Given this even if multiple instances of the application is started up only 1 of the listeners will be able to connect and process messages. Now for the catch, consider a case where the processing of messages takes a while to complete and rolls back during processing of the message. If the instance of the application handling the message were to be stopped in the middle of processing such a message, then the behavior is a different instance will start handling the messages in the queue, when the stopped instance rolls back the message, the rolled back message is then delivered to the new exclusive consumer, thus getting a message out of order. Spring Data REST is an awesome project that provides mechanisms to expose the resources underlying a Spring Data based repository as REST resources. If you are wondering what the "_links", "_embedded" are - Spring Data REST uses Hypertext Application Language(or HAL for short) to represent the links, say the one between a course and a teacher. Given this HAL based REST service, the question that I had in my mind was how to write a client to this service. I am sure there are better ways of doing this, but what follows worked for me and I welcome any cleaner ways of writing the client. The Jackson2HalModule is provided by the Spring HATEOS project and understands HAL representation. Note that when the entity is created, the response is a http status code of 201 with the Location header pointing to the uri of the newly created resource, Spring RestTemplate provides a neat way of posting and getting hold of this Location header through an API. So now we have a teacher1Uri representing the newly created teacher. Jackson2HalModule is the one which helps unpack the links this cleanly and to get hold of the Teacher entity itself. I have previously explained ParameterizedTypeReference here. Now, to a more tricky part, creating a Course. This concludes how to use the RestTemplate to create and retrieve a linked resource, alternate ideas are welcome. Spring-session is a very cool new project that aims to provide a simpler way of managing sessions in Java based web applications. One of the features that I explored with spring-session recently was the way it supports externalizing session state without needing to fiddle with the internals of specific web containers like Tomcat or Jetty. I display the port number of the application in the footer just to show which instance is handling the request. If I were to do nothing to move the state of the session out the application then the behavior of the application would be erratic as the session established on one instance of the application would not be recognized by the other instance - specifically if Tomcat receives a session id it does not recognize then the behavior is to create a new session. There are container specific ways to introduce a external session stores - One example is here, where Redis is configured as a store for Tomcat. Pivotal Gemfire provides a module to externalize Tomcat's session state. And that is it! magically now all session is handled by Spring-session, and neatly externalized to Redis. 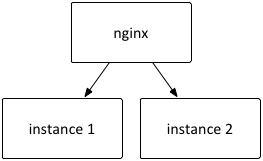 If I were to retry my previous configuration of using nginx to load balance two different Spring-Boot applications using the common Redis store, the application just works irrespective of the instance handling the request. I look forward to further enhancements to this excellent new project. Spring boot recommends creating an executable jar with an embedded container(tomcat or jetty) during build time and using this executable jar as a standalone process at runtime. It is common however to deploy applications to an external container instead and Spring boot provides packaging the applications as a war specifically for this kind of a need. My focus here is not to repeat the already detailed Spring Boot instructions on creating the war artifact, but on testing the created file to see if it would reliably work on a standalone container. I recently had an issue when creating a war from a Spring Boot project and deploying it on Jetty and this is essentially a learning from that experience. Here is a complete working sample which implements this pattern. Spring provides a great out of the box support for caching expensive method calls. The caching abstraction is covered in a great detail here. This approach works very nicely, if required certain caches can be configured to be backed by a different caching engines itself, say a simple hashmap, some by Guava or EhCache some by distributed caches like Gemfire. I have been trying to create a Docker based RabbitMQ cluster on and off for sometime and got it working today - fairly basic and flaky but could be a good starting point for others to improve on. This is how the sample cluster looks on my machine, this is a typical cluster described in the RabbitMQ clustering guide available here - https://www.rabbitmq.com/clustering.html. 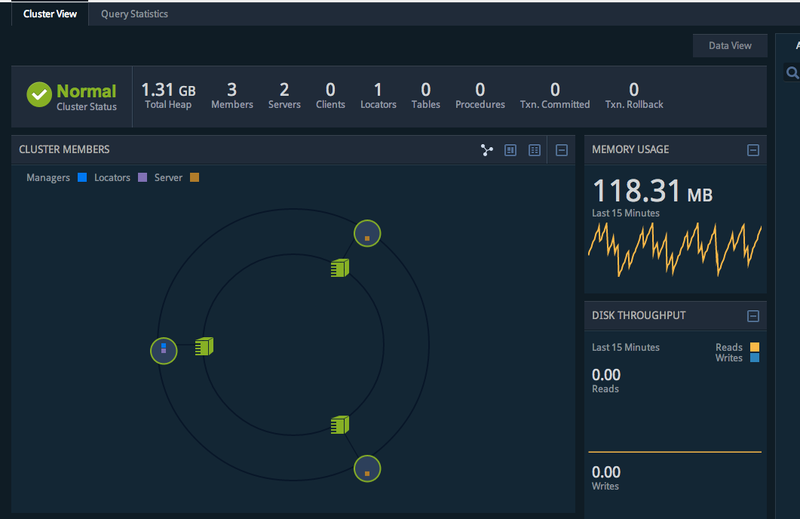 As recommended at the site, there are 2 disk based nodes and 1 RAM based node here. That is it!, the entire cluster should come up. If you need more nodes, just modify the fig.yml file. The docker files for creating the dockerized rabbitmq-server is available at my github repo here: https://github.com/bijukunjummen/docker-rabbitmq-cluster and the "rabbitmq-server" image itself is here at the docker hub. 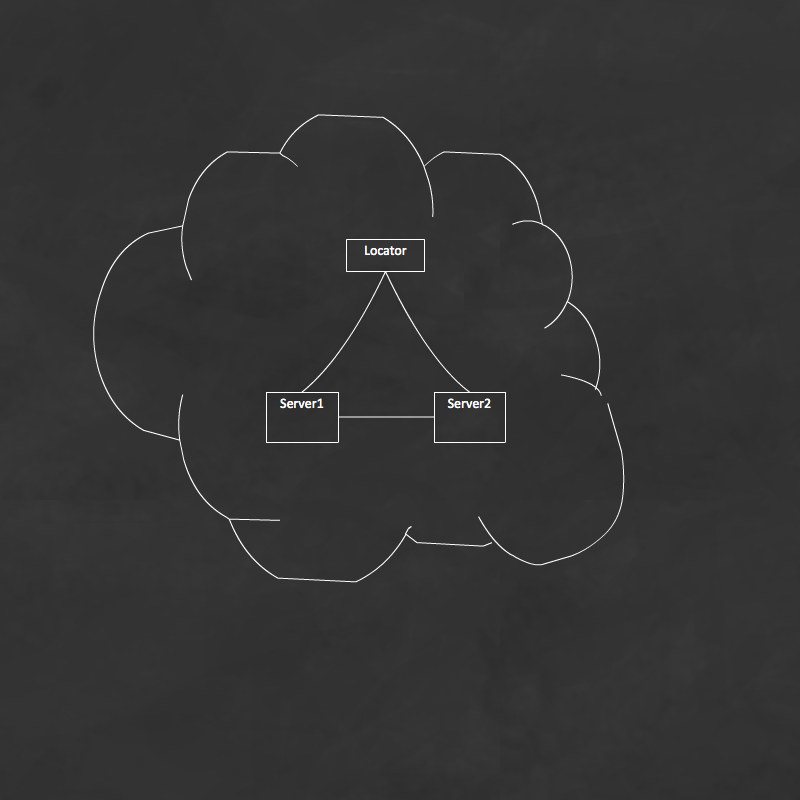 I have been playing around with converting an application that I have, to use Spring @Configuration mechanism to configure connectivity to RabbitMQ - originally I had the configuration described using an xml bean definition file. and configures a binding to send messages to the exchange to be routed to the queue based on a routing key called "rube.key"
This configuration should look much more simpler than the xml version of the configuration. I am cheating a little here though, you should be seeing a missing connectionFactory which is just being injected into this configuration, where is that coming from..this is actually part of a Spring Boot based application and there is a Spring Boot Auto configuration for RabbitMQ connectionFactory based on whether the RabbitMQ related libraries are present in the classpath. So here, bean `foo` is being injected with a `bar` dependency. These are two concepts that I mix up occasionally - a WebApplicationInitializer and an ApplicationContextInitializer, and wanted to describe each of them to clarify them for myself. So to conclude, except for the Initializer suffix, both WebApplicationInitializer and ApplicationContextInitializer serve fairly different purposes. Whereas the WebApplicationInitializer is used by a Servlet Container at startup of the web application and provides a way for programmatic creating a web application(replacement for a web.xml file), ApplicationContextInitializer provides a hook to configure the Spring application context before it gets fully created. Internally Spring MVC uses a component called a HttpMessageConverter to convert the Http request to an object representation and back. A set of default converters are automatically registered which supports a whole range of different resource representation formats - json, xml for instance. Here WebMvcConfigurationSupport provides a way to more finely tune the MVC tier configuration of a Spring based application. In the configureMessageConverters method, the custom converter is being registered and then an explicit call is being made to ensure that the defaults are registered also. A little more work than for a Spring-Boot based application. A long time ago I had posted about a way to document all the uri mappings exposed by a typical Spring MVC based application. The steps to do this however are very verbose and requires a fairly deep knowledge of some of the underlying Spring MVC components. Spring Boot makes this kind of documentation way simpler. All you need to do for a Spring-boot based application is to activate the Spring-boot actuator. Adding in the actuator brings in a lot more production ready features to a Spring-boot application, my focus however is specifically on the endpoint mappings. "method" : "public java.lang.String mvctest.web.HotelController.list(org.springframework.ui.Model)"
"method" : "public mvctest.domain.Hotel mvctest.web.RestHotelController.get(long)"
"method" : "public java.util.List<mvctest.domain.Hotel> mvctest.web.RestHotelController.list()"
"method" : "public org.springframework.http.ResponseEntity<java.lang.Boolean> mvctest.web.RestHotelController.delete(long)"
"method" : "public mvctest.domain.Hotel mvctest.web.RestHotelController.create(mvctest.domain.Hotel)"
"method" : "public mvctest.domain.Hotel mvctest.web.RestHotelController.update(long,mvctest.domain.Hotel)"
"method" : "public java.lang.String mvctest.web.RootController.onRootAccess()"
"method" : "public org.springframework.http.ResponseEntity<java.util.Map<java.lang.String, java.lang.Object>> org.springframework.boot.autoconfigure.web.BasicErrorController.error(javax.servlet.http.HttpServletRequest)"
This listing is much more comprehensive than the listing that I originally had. I have a small Spring boot based application that uses a Postgres database as a datastore. I wanted to document the steps involved in deploying this sample application to Cloud Foundry. Some of the steps are described in the Spring Boot reference guide, however the guides do not sufficiently explain how to integrate with the datastore provided in a cloud based environment. Spring-Cloud understands that the application is deployed on a specific Cloud(currently Cloud Foundry and Heroku by looking for certain characteristics of the deployed Cloud platform), discovers the bound services, recognizes that there is a bound service using which a Postgres based datasource can be created and returns the datasource as a Spring bean. That is essentially it, Spring Cloud should ideally take over at the point and cleanly parse the credentials from the bound service which within Cloud Foundry translates to an environment variable called VCAP_SERVICES, and create the datasource from it. There is however an issue with this approach - once the datasource bean is created using spring-cloud approach, it does not work in a local environment anymore. This initializer makes use of the Spring-cloud's scanning capabilities to activate the "cloud" profile. Spring Boot along with Spring-Cloud project now provide an excellent toolset to create Spring-powered cloud ready applications, and hopefully these notes are useful in integrating Spring Boot with Spring-Cloud and using these for seamless local and Cloud deployments. In an earlier blog entry I had touched on a fictitious rube goldberg flow for capitalizing a string through a complicated series of steps, the premise of the article was to introduce Spring Integration Java DSL as an alternative to defining integration flows through xml configuration files. Take in a message of this type - "hello from spring integ"
Return the sentence back to the calling application. It turns out, based on Artem Bilan's feedback, that a few things can be optimized here. , what it means is that here jmsOutboundGateway is a AbstractReplyProducingMessageHandler and its reply channel is implicitly derived by the DSL. Further, two methods which were earlier handling the flows for sending out the message to the queue and then continuing once the message is back, is collapsed into one. And IMHO it does read a little better because of this change. Thus, to conclude, Spring Integration Java DSL is an exciting new way to concisely configure Spring Integration flows. It is already very impressive in how it simplifies the readability of flows, the introduction of the Jms namespace factories takes it even further for JMS based flows. One more of the many cool features of thymeleaf is the ability to render fragments of templates - I have found this to be an especially useful feature to use with AngularJs. AngularJS $routeProvider or AngularUI router can be configured to return partial views for different "paths", using thymeleaf to return these partial views works really well. The great thing about thymeleaf here is that this view can be opened up in a browser and previewed. To return the part of the view, which in this case is the section which starts with "th:fragment="content"", all I have to do is to return the name of the view as "hotels/partialList::content"! The same approach can be followed for the update and the create views. So to summarize, you create a full html view using thymeleaf templates which can be previewed and any rendering issues fixed by opening the view in a browser during development time and then return the fragment of the view at runtime purely by referring to the relevant section of the html page.